Is Botox Considered A Plastic Surgery? With so many cosmetic treatments available, patients often wonder what is the line between plastic surgery, such as facelifts, and less-invasive cosmetic procedures. Confusing terms and procedure nicknames in popular culture and the media can increase this confusion, with procedures like fillers being referred to as “liquid facelifts”, or terms like “lip augmentation” and “lip fillers” being used interchangeably in casual conversation. For patients arriving at our Kelowna plastic surgery clinic, there is sometimes similar confusion around Botox. Is it a type of plastic surgery? Is it a cosmetic procedure? In this post, we’ll be explaining the details. What Is Plastic Surgery/Reconstructive Surgery? Plastic surgery has a reconstructive focus. The goal of this procedure is to restore the function of a certain area of the body. For example, a hand surgery, scar revision, breast reconstruction after a mastectomy, or cleft palate repair. Many of these surgeries can also improve the patient’s aesthetics, which may be why it is often used interchangeably with the term “plastic surgery”. Additionally, many board-certified plastic surgeons are also certified and experienced in performing cosmetic surgery, which may contribute to the two terms being used interchangeably in popular culture. What Is Cosmetic Surgery/Cosmetic Plastic Surgery? According to the American Society of Plastic surgery, cosmetic surgery is focused primarily on improving a patient’s appearance. Some organizations call this type of organization "cosmetic plastic surgery". These procedures are usually elective (not medically necessary), and are not usually covered under healthcare. Common types of cosmetic surgery include breast augmentation, facial contouring, body contouring, and rejuvenation procedures. While any physician is legally able to perform cosmetic surgery, a board-certified cosmetic surgeon has become specialized through a fellowship training exclusively focused on cosmetic surgery after they undergo residency training. The umbrella term "cosmetic surgery" can also include minimally-invasive cosmetic procedures. Where Does Botox Fit In? Is It Plastic Surgery, Or A Cosmetic Procedures? According to the American Board of Plastic Surgery, skin rejuvenation procedures, including Botox, can be seen as a type of cosmetic surgery. However, the American Society of Plastic Surgery classifies it more specifically as a non-invasive cosmetic surgery procedure. Regardless of terminology, the main thing you need to know is a botox procedure does not involve ANYTHING like scalpels or stitches, but that it is a medical procedure. 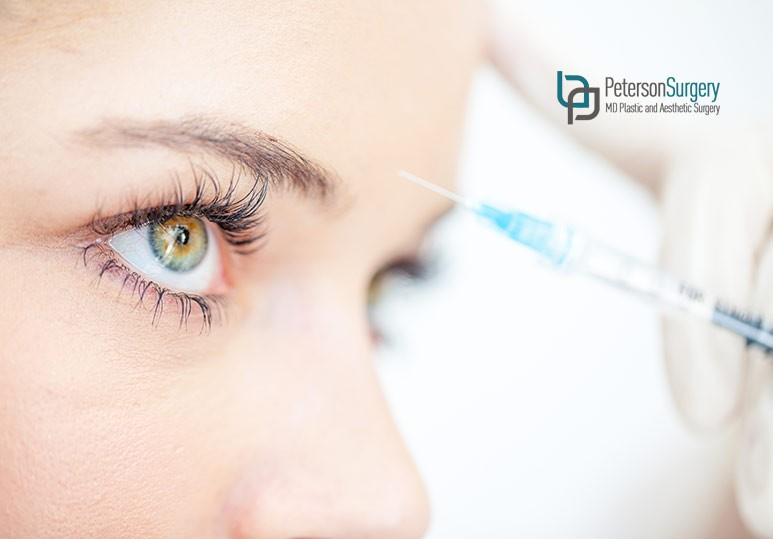 To administer Botox in British Columbia, Botox must be prescribed by a physician and injected by a physician or nurse. If you would like to rejuvenate your appearance under the care of highly-trained professionals, don’t hesitate to call our clinic at 250-868-9099, or reach out to us through our online contact form.